Spring is here and schools all across Canada will be letting their students out for summer vacation very soon. In the dying days of the school year, some teachers may be disposed to showing movies to their students as a year-end treat and to relax after a long year of studies. One of Short Film Fan’s subscribers, Ihor Cap, recently wrote and submitted this piece to share with the site’s readers. Ihor is an Education Specialist with the Province of Manitoba and is also a web author at his site, Ezreklama. Here he shares with us a National Film Board website that is loaded with a wide variety of educational short (and longer) films from which classroom teachers could give their students something to think about regarding Canadian multiculturalism before the long, lazy days of summer set in. ‘Across Cultures’ is a National Film Board (NFB) of Canada web site dedicated to celebrating the contributions that different cultural and ethnic communities have made to Canada. It also exposes the many challenges these communities faced as they populated the Canadian landscape. Finally, the site can assist teachers to meet the objectives of their educational programs and issues pertaining to Canadian multiculturalism, equality and human rights. What is available on this site? This site in cooperation with the NFB makes available 120 English and French language films and 164 English and French language film clips. Most films include an audio description for the visually impaired as well as closed-captioning. 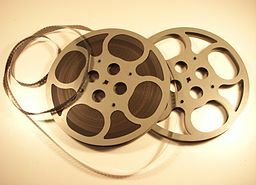 Best of all, the films, teaching strategies, sound recordings, and other material available on this site, include a pre-authorized copyright license. Of course, copyright ownership and source of material acknowledgement must still be provided. What themes does the website focus on? These educational resources follow several basic themes that ask such introductory questions as: “How have we contributed to Canada?”, “Who are we?”, and “What can we become?”, “Why did we come to Canada?”, and “How do we reach out?” This site also recognizes the less praiseworthy moments in Canadian history by asking, “How does integration challenge us?” The 1978 short film Teach Me to Dance, directed by Anne Wheeler and written by Myrna Kostash, speaks to the latter question. In the film, two girls, Lesia and Sarah, attempt to perform a Ukrainian dance at their school’s Christmas concert amidst pervasive racial bigotry and prejudice among the adults in the community. The subject matter of these free resources is not exhaustive of all NFB films and film-clips for the 65-year period. In the end, educational institutions and teachers should visit the site and assess the worth of these media resources for the classroom on their own. The “Across Cultures” website is found at http://www3.nfb.ca/duneculturealautre/index.php. So, not only can we be entertained by Canadian short films in our theatres and homes, we can be educated by them in our classrooms, as well. Thanks to Ihor for the article!